If you happen to be a Canadian animal abuser then you might want to pay close attention to the following information. 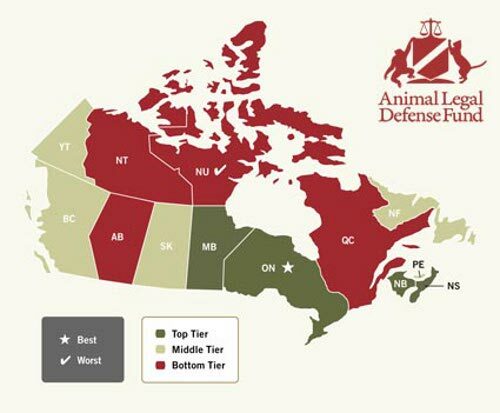 According to the latest version of the Animal Legal Defense Fund’s (ALDF) “Canadian Animal Protection Laws Rankings” the best provinces for scum, sorry, animal abusers to live would be in Quebec, Nunavut, the Northwest Territories, and Alberta. Why you might ask? The animal protection laws in those provinces are sub-standard. Complete lack or weakness in legislation including punishments such as minimal fines, a limited range of protections, and a lack of basic care standards for animals landed the fearsome foursome at the bottom for animals but the top for abusers. As you can see below, Ontario, Manitoba, New Brunswick and Nova Scotia scored the best for animal protection laws. In other words abusers beware. 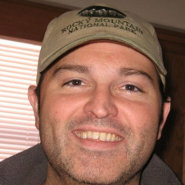 Hopefully soon no province,or country for that matter, is safe for animal abusers.